If you’re injured playing sports or during some other activity, or suffer from chronic pain, physical therapy, is a crucial part of your recovery.  Physical therapist Rich Sarmiento, MPT, and his team of medical professionals at NYPT Health and Rehab in Midtown Manhattan’s Flatiron District of New York City provide the highest quality of physical therapy care with personalized treatment plans. If you’re looking for an integrative approach to physical therapy, call NYPT Health and Rehab or book an appointment online today. Physical therapy refers to medical care that helps improve movement in parts of your body that are injured or have limited mobility. The physical therapy services at NYPT Health and Rehab can reduce your pain and restore normal movement to your body quickly. What injuries and conditions can physical therapy treat? At NYPT Health and Rehab, your physical therapist works directly with you to develop a treatment plan based on your unique needs. All treatments involve 30 minutes of hands-on manual therapy with an expert physical therapist, followed by 30 minutes of therapeutic exercise. During hands-on treatment, your physical therapist gently works with the areas of your body that are causing you pain or limited movement. Manual therapy may include massage, joint mobilization, and neuromuscular techniques to address your pain. This part of your physical therapy session helps strengthen the weakened muscles in your injured area. NYPT Health and Rehab’s expert staff shows you how to correctly do specific exercises to improve your range of motion, flexibility, coordination, strength, and stamina. They also teach you how to maintain your results by performing the exercises at home. If you’re suffering from an injury or chronic pain, physical therapy can help you get back to the activities you love. Call NYPT Health and Rehab or schedule an appointment using the online booking tool today.